2013 was a busy season for me, taking in 54 meetings in total. 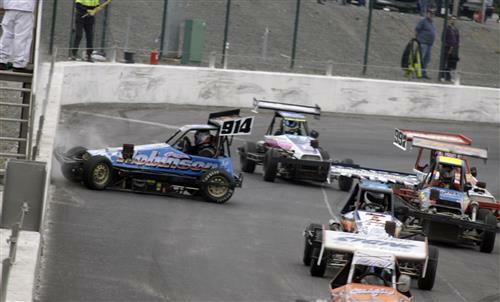 The province hosted the Lightning Rod World Final and ProStock World Cup at a superb Speedweekend at Tullyroan, while Superstox, Ninja Karts and Speed Stocks were all added to the formula list, and it's where the start of the split in the Stock Rods began. As Shamwreck celebrates it's 20th Anniversary here is a look at my my favorite cars that have taken part during the DMC staging years of 2006-2016 (in no particular order). I consider 2012 to have been a modern golden era of local oval racing, a time when many classes where getting car numbers in the 20’s, the promotions worked together and you got to see better racing everywhere and Tullyroan opened which spread the footprint of the sport and brought it back to the doorstep of Portadown where the sport had a good following.